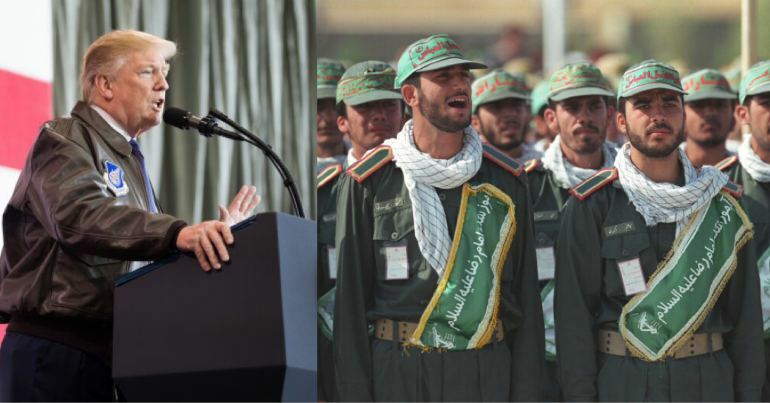 Amid renewed US sanctions against Iran, even some mainstream media outlets are now starting to offer the truth about Washington’s dark history of intervention in the country. Most viewers were probably expecting little meaningful analysis of US-Iranian relations, and especially no mention of the British- and US-sponsored coup in Iran in 1953. Because since Noah replaced Jon Stewart as the host of The Daily Show, some critics have described it as “a love-fest for establishment ‘liberals’ and ‘conservatives’”. Salon’s Sophia McClennen attacked the show as “edgeless and dull just when we need it the most”. But the show’s latest segment on Iran served its viewers well. Noah’s historical account of US-Iranian relations was neither ‘edgeless’ nor ‘dull’. In the segment, Noah explained the simple reason behind the British- and US-sponsored coup in 1953: oil. 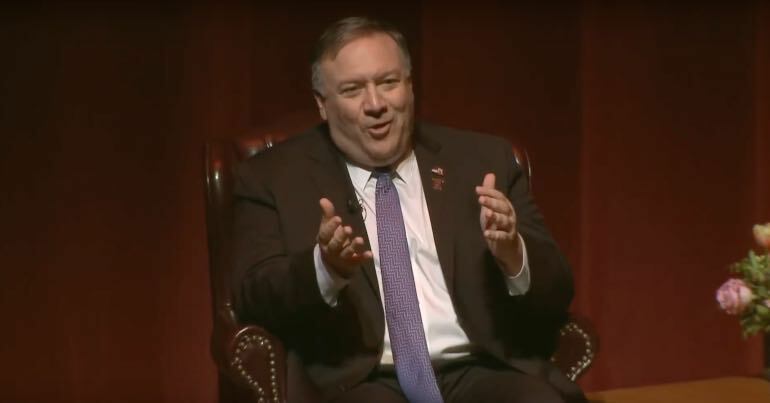 Washington opted not to defend Iran’s democratic government, and the coup was “carried out under CIA direction” and “approved at the highest levels of [US] government”. Think about how mad America is because Russia sent some Facebook posts. Now imagine Iran. And the analysis didn’t end there. Noah then explained how the US supported Saddam Hussein during the Iran-Iraq war of the 1980s, which resulted in over one million deaths. Noam Chomsky claimed in 2013 that the US had been “torturing Iranians” ever since the 1953 coup. 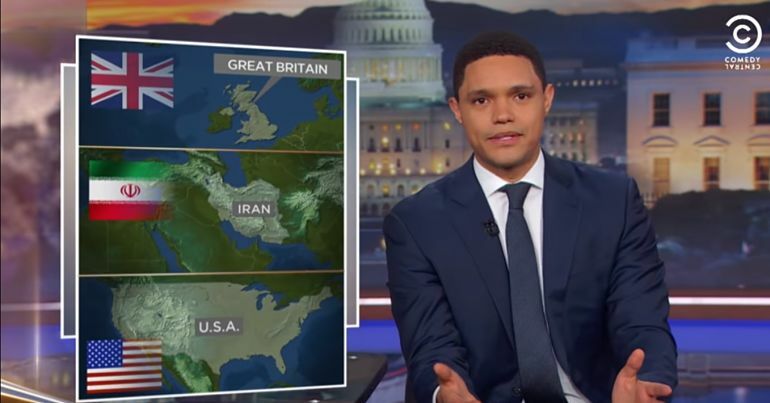 Noah ended the segment stating: “So the next time someone asks you why Iran and America aren’t friends, just tell them: What had happened was…”. And as he shows, “what had happened was” decades of US meddling in Iranian internal politics, resulting in destruction and violence. 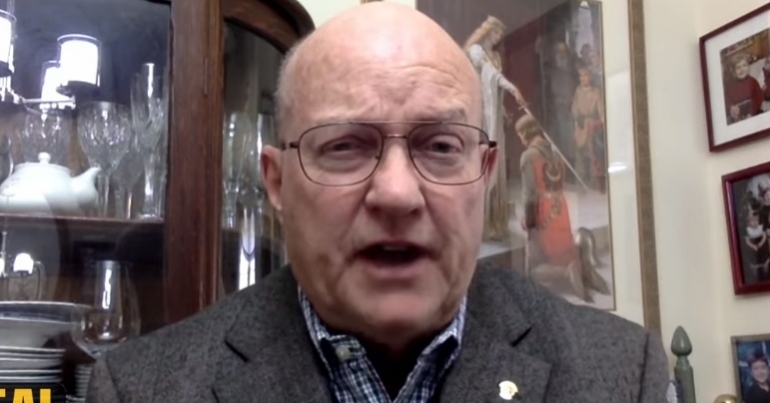 This context is crucial to understanding the current state of US-Iranian relations. And the more the media provides it, the better. – In the UK, ask Theresa May and your MP to support the deescalation of tensions between the US and Iran. In the US, contact your representative and senator. – Support The Canary if you appreciate the work we do. Also see more Canary articles on Iran; and for more Global articles, follow us on Facebook and Twitter.